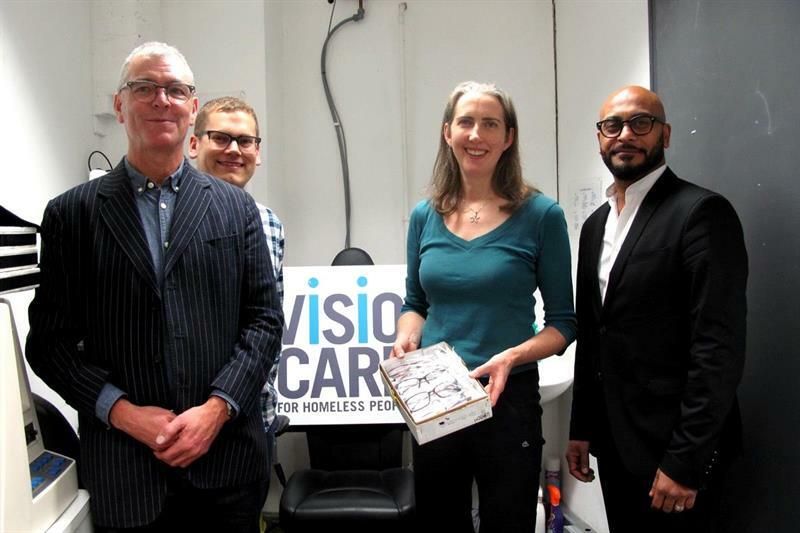 Members of the London branch of iconic New York eyewear brand Moscot, have teamed up with Vision Care for Homeless People (VCHP), donating 50 of its frames and dispensing time over the festive period. The charity, which was co-founded by Elaine Styles, pictured with Moscot London store director Tim Webb, left, and Moscot partner Kris Collins, second left, in 2003, runs regular clinics helping those who have visual impairments and are homeless or vulnerable. The donation was supported by Nikon, with its London territory manager Parm Bhachu, right, supplying 50 pairs of lenses.